Happy Days, Sad Days in the Kitchen. 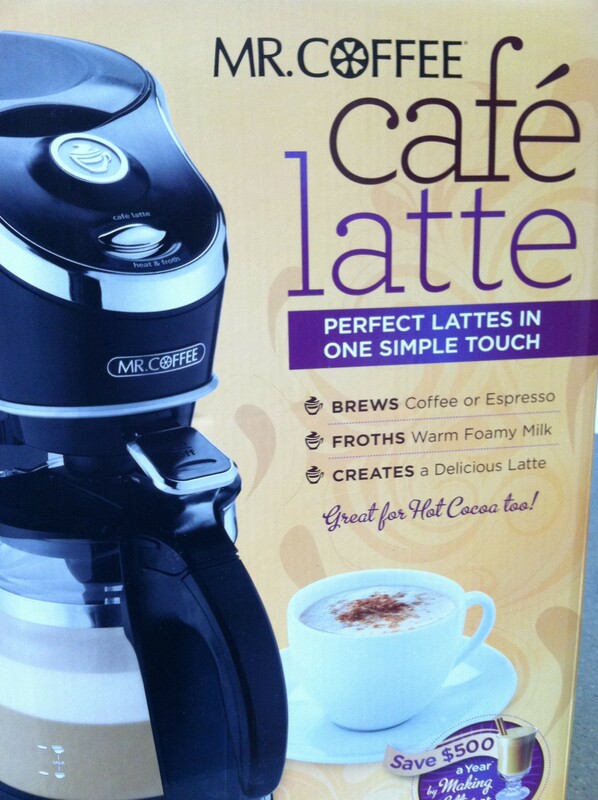 Last week was my birthday week, and my Wonderful Travel Man got me this really cool Mr. Coffee, Cafe Latte machine. I did not even know Mr. Coffee made this type of machine. This wonderful gadget brews the espresso, and then drips it into the coffee pot where the milk is frothing. The entire process happens in the same pot. It’s amazing! Plus you can make all kinds of flavored lattes, hot chocolates, and sugar-free lattes. I’ll be trying out a pumpkin latte this weekend! I’m looking forward to having my lattes, and saving money with no more trips to Starbucks. Travel Man made himself a hot chocolate earlier this week, and it was creamy, chocolaty and truly delicious. This has been our happy days, this week in the kitchen. Earlier in the week, probably Tuesday or Wednesday, Evan asked me if I could make him a loaf of bread. So, I told him sure I would make him his own loaf to take home. So yesterday I put all of the ingredients in the bread maker, got it set-up to make our favorite loaf of white bread, and went on about my afternoon. About an hour or so into the process I go to check on how much longer the bread has to bake. I can’t see straight into the bread maker, so I grab the nearest flashlight, and look down in there and see all of the ingredients just sitting there staring up at me, and not mixed one bit! Then Bryan and I realize the bread maker smells bad, like something is burning bad. We open the lid of the bread maker to see what is going on and there is a small fire. We have flames!!! Bryan blows out the flames, and we quickly unplug the bread maker, and it smells terrible. I’m guessing that the yeast got heated up and there is some obnoxious smell coming from the yeast, and the heating element. It was terrible. 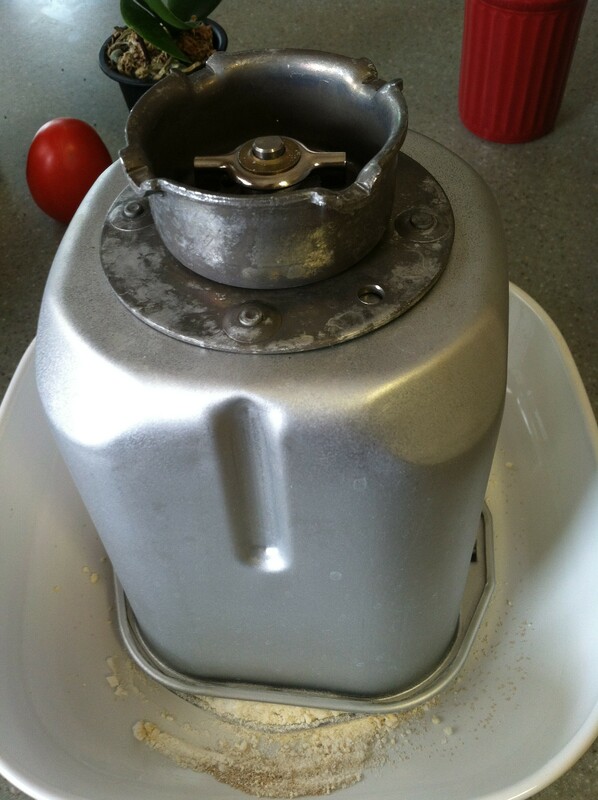 We get the bread pan out of the bread maker so it can cool off, and this morning I had to throw my lovely bread maker away. I was advised by Travel Man that I should make no attempts to plug it back in and see if it’s “ok”. So, sadly into the trash it went. I will get another bread maker eventually (hint-hint), but for now my bread making will just go “old school”. I plan to get out my recipes and just make some bread the old-fashioned way, and maybe some cinnamon rolls too. What fun have you had with your gadgets in the kitchen this week? Happy weekend everyone from a rainy, and thundery Southern California.